In your line of work, performance matters. Details matter. At Pierce Manufacturing, we understand that every second on the job counts and we tailor customizations to match your requirements. We manufacture the fire apparatus bumper to bumper. 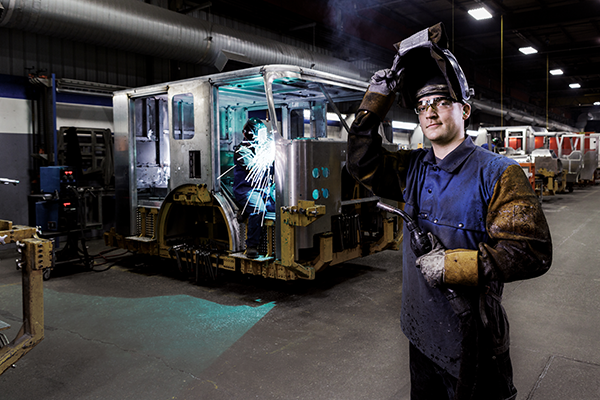 As a single source manufacturer, there’s a reason you’ll find more than 27,000 Pierce trucks on the road today. Every decision—every single engineered detail— is designed with precision and performance in mind. At Pierce, we strive to set the standard when it comes to customization and service. It all starts in our state-of-the-art manufacturing facilities in Appleton, Wisconsin and Bradenton, Florida. Over one million square feet of manufacturing space is dedicated to creating the industry’s leading fire apparatuses. Both facilities are ISO-9001 certified, showing our dedication to meet world-class standards for quality. From research and development, to service and support, our trucks are designed to perform under the toughest conditions. Performance driven design means that we are continually evolving to bring you industry leading advancements and unmatched innovation. As a subsidiary of Oshkosh Corporation, our experienced team has access to an arsenal of cutting edge technologies and revolutionary processes. 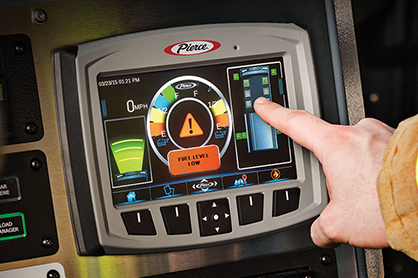 Choose from one of Pierce’s seven custom chassis and our best-in-class innovations. 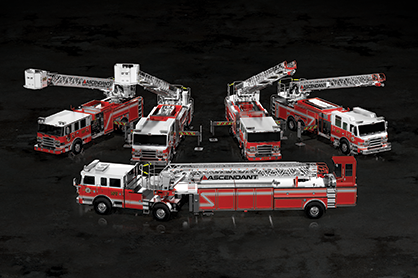 Ascendant® Class of Aerials:The Ascendant technology has expanded into 5 innovative products: single or tandem rear axle 110’ platforms, single or tandem rear axle 107’ ladders, and 107’ tractor-drawn aerial. The Ascendant Class of Aerials was brilliantly engineered to equip firefighters with more aerial choices than ever before. Whether it be weight restrictions, compartment space, preference to ride rather than climb, the lower cost of ownership, or rescue capabilities, the Ascendant technology provides flexibility and a wide range of options to meet each department’s needs. 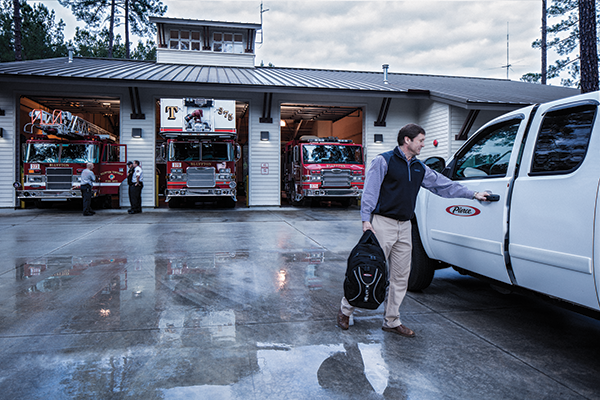 Command Zone™: Cutting edge electronic system that makes it easier for firefighters to maintain their vehicles, prepare for calls and monitor performance on the scene. It also delivers the industry’s first prognostic capabilities. E-Coat Corrosion Protection: Delivers a superior corrosion and chemical resistance, while maintaining a high-quality, resilient surface for paint of any color or finish. HERCULES™ CAFS: For a quicker and safer knockdown, with less exposure to heat, the compressed air foam system has a low surface tension that allows it to spread quickly, cover widely, and cling more aggressively to the surface. 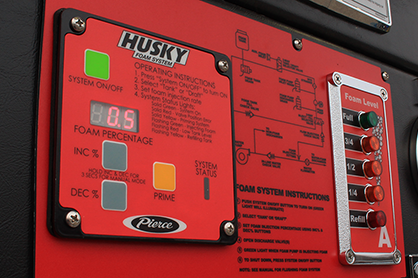 Husky™ Foam Systems: From municipalities to industrial refineries, volunteers to careers, Class A to Class B fires, Pierce Husky foam systems are the best-performing, easiest, most economical and safer way to fight fires. PUC™: The PUC minimizes the vehicular space used for fire suppression and maximizes the space for tools and equipment. TAK-4® Independent Suspension: Independent Front Suspension (IFS), stops faster, corners better, improves handling, offers better ride quality and is far more maneuverable than any straight-axle truck on the road. Independent Rear Suspension (IRS) operates like IFS, but provides power to the wheels. With the ability to add TAK-4 T3, the 100% mechanical steering system further improves control and mobility. Snozzle®: A high-reach extendable turret offers advanced elevated waterway response allowing you to attack fires from multiple angles. Pierce dealers are there to listen to what you need, provide guidance and offer support. We are proud to have the strongest dealer network in the fire industry for both sales and service. You can count on the Pierce Service Brigade, a coast-to-coast network of more than 600 factory-trained technicians to ensure the right service is done at the right time. It’s only fair. You pour everything you’ve got into fighting fires. We pour everything we’ve got into making sure your truck is ready to perform. With more than 100 years of manufacturing experience under our belts, our unwavering commitment to quality is not just a promise. It’s who we are. We work harder because we understand the importance of what you do. 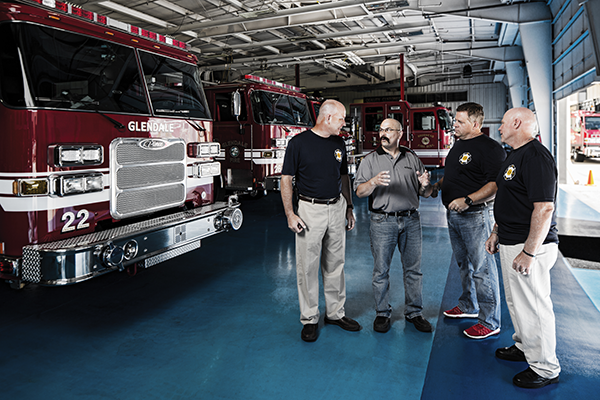 Our employees, from our assembly team to our unmatched dealer network, are driven to serve firefighters. Why? 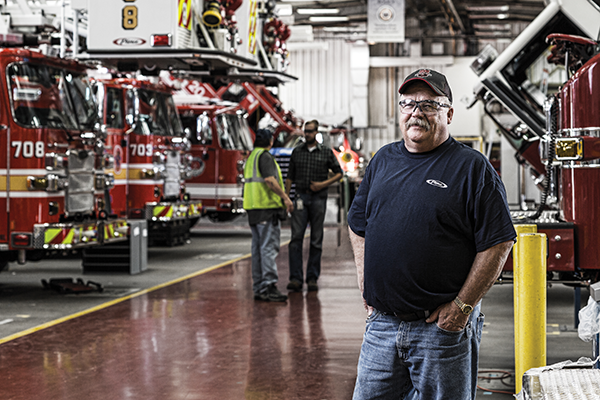 Because many of the team members at Pierce Manufacturing are firefighters themselves. At Pierce, every step of the manufacturing process is personal because we’ve been in your shoes before. 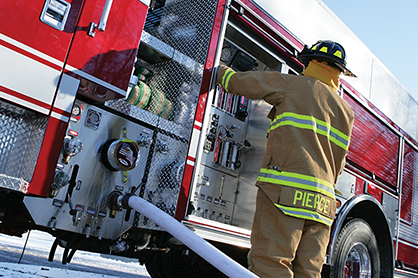 It’s no surprise that firefighters rely on the Pierce brand more than any other. Don’t just believe us; see for yourself. If you’re considering an apparatus purchase, we invite you to contact your local sales representative to take a tour of our facilities to see thousands of customizations engineered for departments across the world. We don’t think of this as just another job. One walk through the plant, one conversation with the people who build these rigs, will prove that. What we do matters because what you do is so important. Visit Pierce before you settle on your next apparatus. Our commitment to performance extends beyond our factory walls and into the communities where we live and serve. A significant part of the Pierce legacy involves giving back to the community and the fire industry. We believe in the good that comes from helping others. Our annual 9/11 Memorial stair climb event is a tribute to the 343 firefighters who gave their lives during the events at the World Trade Center on September 11, 2001. 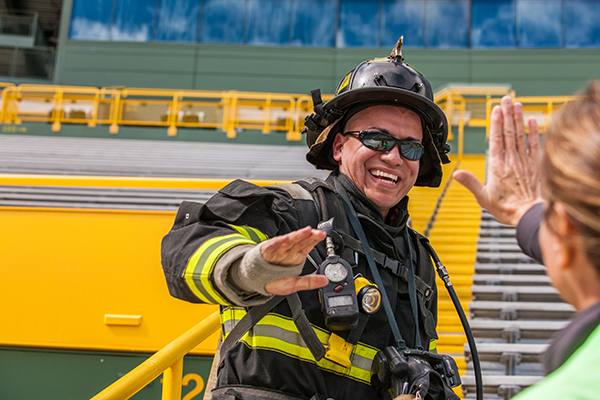 Participants are challenged to climb the equivalent of 110 stories - the height of the fallen World Trade Center towers - on the steps of Lambeau Field, in Green Bay, Wisconsin. All funds raised benefit the National Fallen Firefighters Foundation.